Human Dynamo Workshop fabricated Officer Batou's custom 1980's Lotus Esprit, featured in many action scenes in Ghost in the Shell. Our team was given a single concept view, which was translated by our designers into 3D models. Our prop makers and technicians then brought the designs to life with imaginitive and intricate physical detailing, to incredible results. The interior detailing work included a communications module, custom steering wheel, upholstery, and gun holsters recessed into the doors. The team also modified the exterior panels on the car. 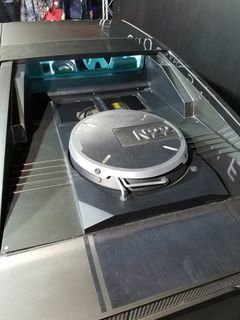 Batou's car at an paramount pictures media event promoting Ghost in the Shell. 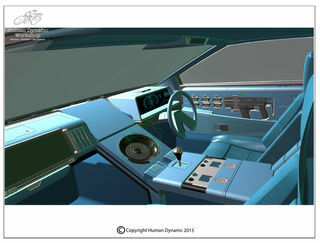 3D model of the custom interior. custom car interior with gun holsters. Gun holsters fabricated by Human Dynamo Workshop. Lily Uivel preparing the mould for a body kit piece to be fiber glassed. 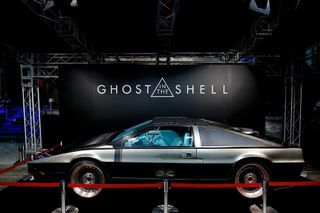 Batou's car at an paramount pictures media event promoting Ghost in the Shell. This plug in the body work was fabricated by Human Dynamo Workshop. Rob Uivel taking a look at the car interior before it was customised by Human Dynamo Workshop.